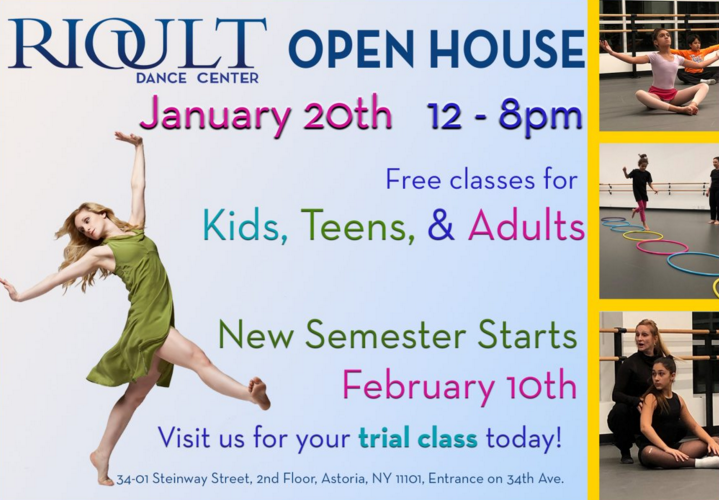 On January 20th from 12-8pm join the RIOULT Dance Center for an Open House! Free classes will be offered all day long for children and adults alike. There will be pop up shops, performances, activities, and more!